Who said video killed the radio star? But the point is, radio never died. It is back and bigger than ever, thanks to a growing industry movement: the podcast. 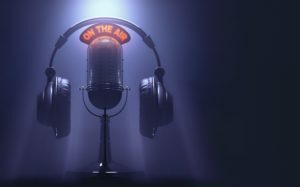 With the ability to instantly stream or download radio programs on any number of topics, podcasting has invigorated audio listeners and broadcasters alike. Your phone most likely holds enough hours of programming to keep you awake for days bingeing everything from true crime (my personal favorite), to news and politics, health and wellness, music, pop culture, literature and business (and a whole lot more). If you’re new to the podcast landscape, understand that you can access shows from just about any device that has an internet connection. There are plenty of apps to download to manage your podcast subscriptions, which makes it easier to know where you left off and what you’d like to save for the future. 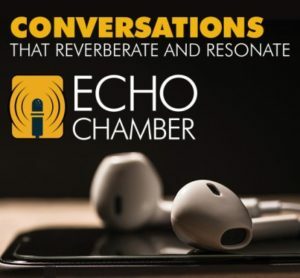 The Indiana Chamber of Commerce launched the EchoChamber podcast earlier this year, featuring conversations with Indiana leaders in business, education, government and more. New episodes are featured every other Tuesday and you can listen via the web site, www.indianachamber.com/echochamber, or subscribe wherever you get podcasts. Our most recent episode features Blair Milo, former LaPorte mayor (elected at age 28), Navy veteran and the state’s first Secretary of Career Connections and Talent. She discusses the challenge of aligning current workforce efforts and introducing new ones to tackle workforce issues in Indiana. Listen here. There are other Indiana-focused business podcasts to tune into as well: Indiana Chamber President Kevin Brinegar has been featured on The ROI Podcast from the Kelley School of Business. And Inside INdiana Business recently launched a podcast of its own, focused on its weekly television show. This show – launched in 2008 to help explain the financial crisis – offers fascinating explorations of the intersection between economics and culture. Each installment starts with the same question: “What is your name and what do you do?” Guests then reveal details of their jobs, whether they’re a neurosurgeon, a novelist, a pollster, or a clown. A giant bite of Apple. Hosted by analyst and technology writer Neil Cybart, this show goes deep into all things Cupertino, with some of the most informed analysis you’re likely to find. Journalist Mandi Woodruff and personal-finance expert Tiffany Aliche chat about news, relationships, and other topics, but they’re especially incisive when discussing their successes and failures in the business world. 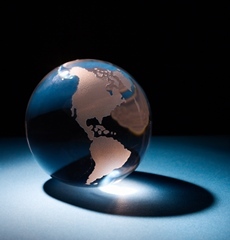 Tech watchers Ben Thompson and James Allworth tackle topics of the moment – fake news on Facebook, Uber’s scandals – and offer broader discourse on where the digital world is headed. What’s playing on your drive home? Share your favorite podcasts in the comments! 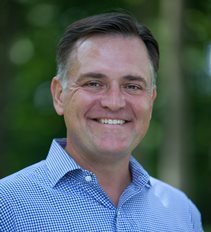 Congressman Luke Messer (IN-06), chair of the Republican Policy Committee, announced the launch of the Task Force for the American Worker – an effort to examine challenges facing modern-day working Americans. The task force will hold a series of hearings to examine workforce issues, including stagnant wages and a slow economic recovery, manufacturing, higher education costs, the opioid abuse epidemic, health care, retirement security and trade. The task force will seek to find solutions that help address each of these challenges. The task force’s first hearing will be held Tuesday, April 25, with the goal of helping set a policy agenda for the modern American worker. Among those asked to testify is LaPorte Mayor Blair Milo. Also, this week started a two-week recess for the Senate and House of Representatives, which means most of our delegation is back in the state for the Easter and Passover holidays. Be on the lookout for them in your hometowns! 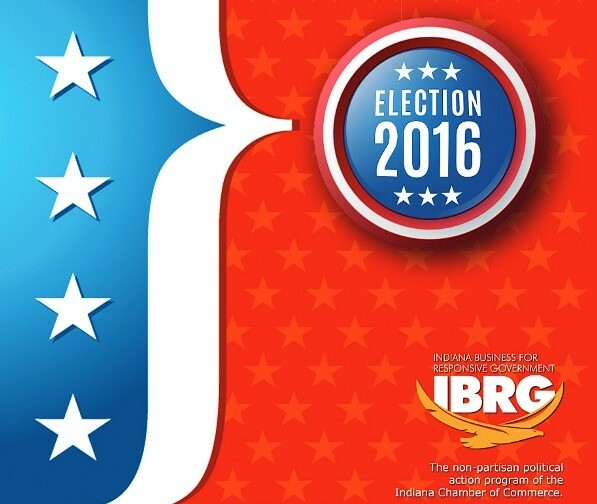 Indiana Business for Responsive Government (IBRG), the non-partisan political action program of the Indiana Chamber of Commerce, scored a very successful general election; 57 of 59 IBRG-endorsed candidates facing opposition were victorious, including Republicans and Democrats. Twenty additional endorsed candidates did not face general election challenges. Eleven new legislators won with IBRG endorsements. IBRG was significantly engaged in support of five top-target candidates in open seat races, as well as successfully defending six pro-economy incumbents seriously challenged with defeat. In a stunning Indiana election, Republicans swept all statewide races by significant margins, led by a 20 percentage point victory by Donald Trump. Not only wasn’t the scale of these win margins predicted in polling, but once again the final outcome defied expectations just months – even weeks – ago of a coming “market correction” in the GOP’s state legislative super-majority seat counts. In the General Assembly, Republicans seriously exceeded expectations again in a volatile election environment. In the House, Democrats were able to pick-off just one first-term incumbent Republican legislator in Lake County (after an unprecedented multi-race battle in northwest Indiana for weeks), with the result being a 70-30 GOP majority next year. In the Senate, Republicans actually managed to expand their majority by another seat to a 41-9 majority. They did so by defending two very competitive open seat races in Indianapolis and by picking up an open seat in LaPorte, largely by default from Democrats. Twelve new members were elected to the House and nine new members to the Senate. One additional Senate seat will become vacant with a resignation and be filled by a local caucus later this year. This turnover in new seats rivals the huge numbers out of the 2010 and 2012 election cycles. It seems that every national election in recent times has been labeled “historic” (among many other adjectives) before and after the votes are cast. Without question, the 2016 elections fit that label, but it’s really more than that. A fundamental realignment of the American electorate is well underway, driven by major upheavals and demographic shifts in this nation. Read the full report. The report includes election results, statistics, and information on key races and new legislators. It will be updated periodically as final tallies and additional analyses are added. House Bill 1338, authored by Rep. Tom Dermody (R-LaPorte), would create a new state work share program to allow unemployment insurance benefits to partially offset lost hours for employees on reduced hour schedules. It would also allow employees to continue employee benefits such as health care insurance that are unavailable if laid off. Work share would allow you to keep employees on the job during a temporary slowdown, so that you can gear up quickly when business conditions improve. You wouldn’t have the expense of recruiting, hiring and training new employees. Also, you spare your employees the hardship of full unemployment. Since work sharing is a cost-equivalent alternative to traditional unemployment benefits, the impact on the unemployment trust fund is neutral. However, federal grants provide money for Department of Workforce Development to set up administration of the plan and will reimburse the state for work-sharing benefits, making work sharing a net positive to the unemployment trust fund balance during the two years of the federal grant. It would be a win-win for employers and employees, keeping people working, avoiding full unemployment benefit costs, and helping companies keep their skilled workers. The work share program in House Bill 1338 is expected to receive a hearing shortly in the House Employment, Labor and Pensions Committee. Please take a moment right now to send a message to committee members urging them to support the work share program. It will only take a couple of minutes to send an email through the Indiana Chamber’s online grassroots action center. Phil Mercier was included in the September/October 2011 BizVoice® article, "Free Agents," about older employees seeking to re-enter the workforce (part of our Workforce Wise series). After reading the article, Jeff Maki, owner of Models Plus in Kingsford Heights (LaPorte County), reached out to Mercier and ultimately hired him. "Without that article, Phil and I would have never connected," Maki says. "Phil and I share some common vision on business. He has tremendous background. We are leveraging his expertise and experience to grow our business." Mercier is about to complete his first month at Models Plus, which provides models, prototypes, custom displays, packaging and engineering for dental and orthopaedic implant manufacturers, as well as patient education tools for health care providers. "My skills and experience have been put to good use helping (Maki) expand his business in the orthopaedic industry," Mercier explains. "(Maki) started in the dental business over 20 years ago and began applying his capabilities to companies in Warsaw over the past three years. I will be helping him with the company’s rapid expansion into orthopaedics." What a BizVoice success story! If you’d like to join our over 12,000 readers, just visit the web site. Note: Paul, a Texas Congressman who lost to McCain in the GOP Primary, wasn’t actually running and was only on the ballot in a couple of states (I believe only Louisiana and Montana). Paul actually endorsed Baldwin (a LaPorte native, btw).